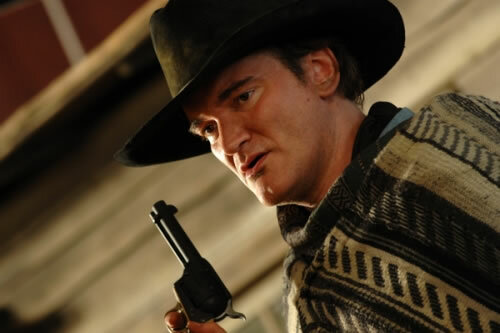 Of course, Tarantino and Abrams will have a hand in it, and we’re hearing if all things work out, Tarantino might direct the film with Abrams producing, according to Deadline. I can’t even begin to imagine what a ‘Star Trek‘ movie will look and sound like with Tarantino behind the wheel. One thing is for sure, it will have a killer soundtrack and some great dark humor. This film is a long shot right now, because Tarantino is already working on his Charles Manson film and Abrams will be making the next ‘Star Wars‘ movie. So I imagine this new ‘Star Trek‘ film will be after all of that, which is after 2019. I’m willing to wait for this team up though. Simon Pegg was a huge creative influence on the last ‘Star Trek‘ film. He even wrote it, which I imagine, Pegg, Tarantino, and Abrams will have final say and cut over a new screenplay, but I imagine everyone will return to their roles. The last three ‘Star Trek‘ films have grossed over $1.2 billion dollars worldwide, so there is no sign of them slowing down. With the added bonus of Tarantino to the mix I bet that will bring a new film up in box office gross and put Tarantino in another realm that he hasn’t ventured into yet. We will keep you up to date on this as more info comes in, but know now, that we might have a Tarantino ‘Star Trek‘ movie. This entry was posted on Tuesday, December 5th, 2017 at 12:38 pm	and is filed under Film, News. You can follow any responses to this entry through the RSS 2.0 feed. You can skip to the end and leave a response. Pinging is currently not allowed.